Spencer Group were awarded the contract to construct 12,000m2 of paving, alongside three further works packages for ABP as part of a £15m upgrade to the King George Dock in Hull. This project was delivered in parallel to a further programme of works to design and construct a new primary substation, including all civil and electrical works, at the Hull Container Terminal. 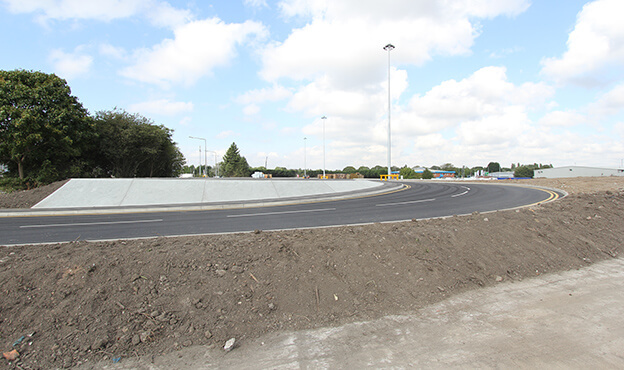 Spencer Group carried out a large cut and fill earthworks operation, to construct 12,000m2 of paving, followed by the installation of new drainage, kerbing and 3no 25m high mast lights. Underground ducting works were also required, to carry cables from the Kingeo substation location, under the paving site, to connect to the plant room within ABP’s Shed Six, where the power generated is distributed throughout the port. 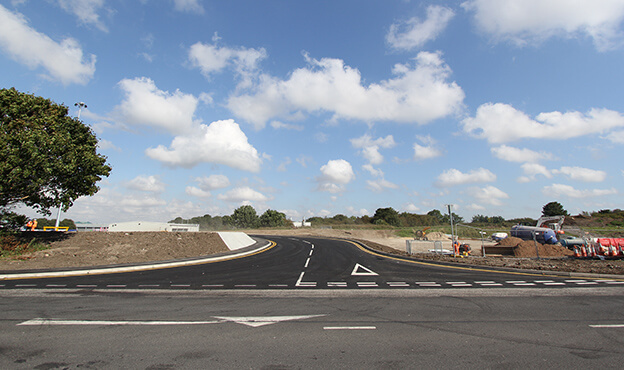 The new paved area was used for the storage of imported timber by Global Shipping, a break-bulk cargo operator in the Humber Ports. Spencer Group’s paving was therefore time critical, and the project was successfully completed on time and to budget, with no disruptions to port operations or Global Shipping. The main challenge faced during this project were the poor weather conditions experienced. 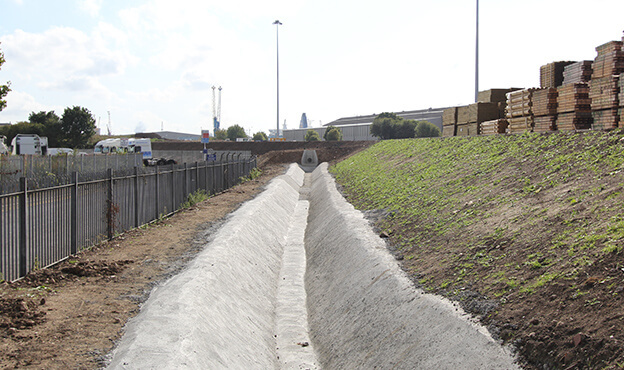 This resulted in Spencer Group having to fill the swale ditch with 24m2 of concrete at a time and cover it with timber and plastic sheeting to protect it from the rain.